and BAD HAIR DAY? That's what me and my wife exactly felt last weekend. The stresses of work is not just reflecting on our skin but on our hair as well. Especially for my wife since her hair is not naturally straight so it really takes a lot more effort on her part. She would always tell me she wants to go to the mall and have hair treatments. But its expensive and we got other priorities,like,like........kids?kidding. We don't have one yet. But yeah, she would occasionally go for hair treatments should time and money warrants. 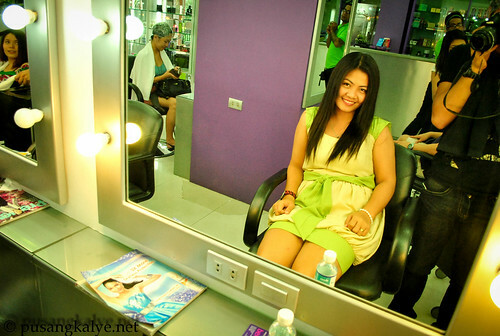 Last Saturday, since we were in Ortigas area to watch transformers, we thought of visiting BENEFITS SALON again. I made a feature about Benefits salon before as I was invited there when it was re-branded and had a new look. 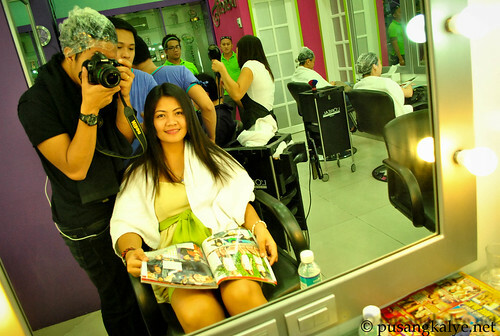 http://www.pusangkalye.net/2011/01/benefits-salon-eastwood-new-year.html . And since we heard that there's a "hot item" in the salon these days, we thought of checking it out. I am referring to KERATIN HAIR TREATMENT. So we reserved our movie tickets in Ortigas and took the taxi to Eastwood straight to the salon to try it out. Keratin Hair treatment is especially designed for damaged hair. After all, keratin is the protein which makes our hair shiny and smooth. 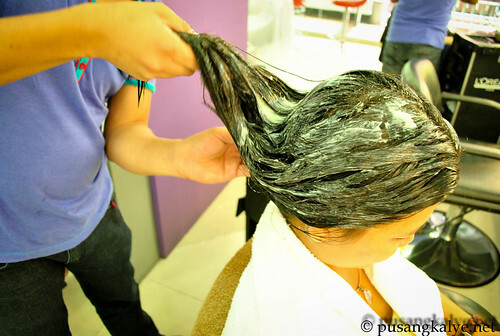 Because of stress, pollution and wrong use and choice of hair chemicals, our hair gets damaged. Even the scalp suffers as a result. What keratin treatment does it that it gives nutrition back to your hair. 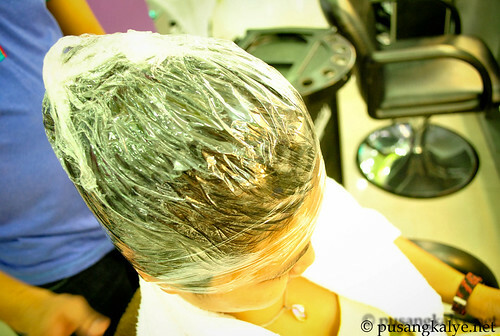 It's as easy as 1-2-3.Although you have to wait for an hour or more for the keratin to have full effect on your hair. The good part of the waiting is, they have in-house masseurs who will give you soothing back massage for 10-15 minutes so that the wait will be as relaxing as ever. You can also check your email or facebook your friends as they offer free wifi in the salon. Keratin Hair Treatment ranges from 700 to 1250 depending on the length of the person's hair. But ours was only 249 pesos.Yeah. To think that Benefits salon only uses the best hair treatment brands (they even showed me their storage room before ), that's a great value!!!! 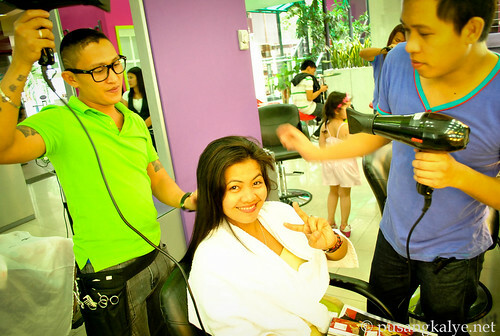 That's because Benefits salon had a promo on Keratin Hair Treatment which was originally launched in www.ensogo.com. 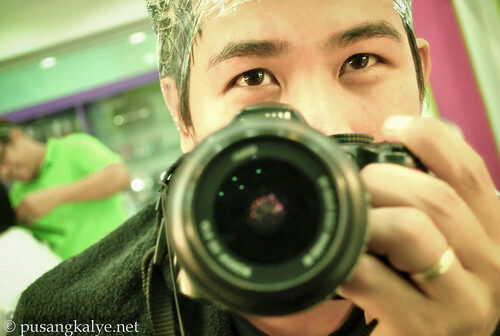 While having Keratin Hair Treatment, I was talking to my hair stylist and he noticed that I have thick eyebrows. He said if I have it threaded, it would highlight its shape and therefore highlight it. I have never tried plucking my eyebrows before and I guess the method, threading, which is foreign to me got me say I wanna try it. For 150 pesos, I said go, "let's do it". It kinda hurts,for somebody like me who is very low tolerant on paint, but I kinda enjoyed it. Weird. Until now , I am still contemplating weather it was a good decision or not, for me at least coz my wife also had her threading and she likes it. In my case, I am not used to it. I heard that in japan, guys usually pluck or thread their hair, but it is not something that many people do here. I decided to had my hair trimmed later on. They don't use razors in benefits when trimming hair. It's scissors all the way. That's what I like. Razors are for the lazy barbers.ooops.sorry. 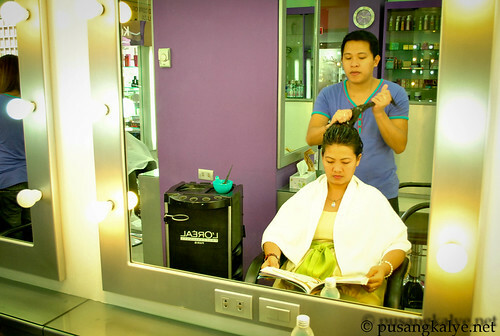 Plus, in here, you are sure that your hairstylists are well experience. Most of them service no less than the tv stars in the country. Two Less Lonely people in the world!!! We were all smiles going back to Ortigas to watch a movie. A day of pampering is all worth it, especially if you get good deals like this!!! The salon opens daily from 12 noon-8pm. Maka-pamper ka naman, happy hour talaga? Magkaroon kaya sila ng branch dito sa Batangas? dun sa threading ng kilay mo, parang laki ng changes sa pic. baka sa susunod itry mo na yung parang may putol yung kilay for style. ehehehe. ang taray naman ng mga toh! kaya pala ang ganda ni tere nung nanood tayo ng transformers! hehehe! si pusangkalye, sige na nga gwapo na... kung di lang kaibigan... lol! kaloka ang happy hour ah! parang beerhouse o kaya motel! hahahah! nice bonding ni wife ah! hehehe.